Managing work in such a way that all processes run smoothly is the more difficult the bigger the company becomes. On the one hand, the owner enjoys the development of business, on the other, he sees organizational challenges growing. Jira is a system that supports work flow of millions of users around the world. Transition Technologies PSC offers software deployment and add-ons (Jira apps) that make Jira software even more functional. 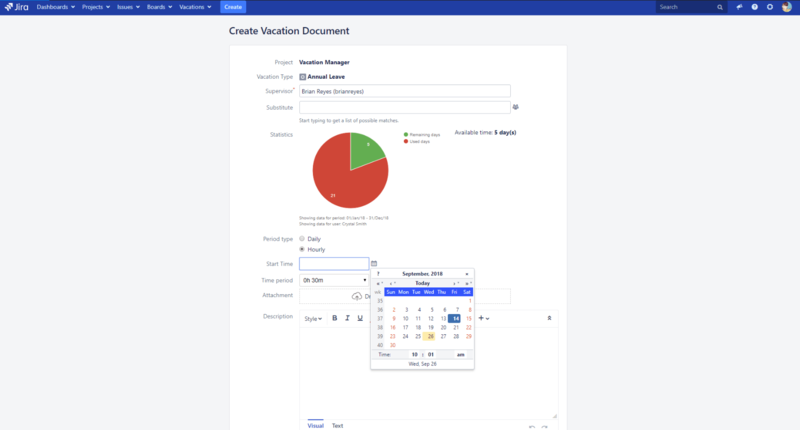 One of the proposed tools is Vacation Manager for Jira, used to manage holidays. Transition Technologies PSC is an official, platinum partner of Atlassian – a global software provider that enables effective work management. The flagship product of Atlassian is Jira Software, a system created for programmers. With time, Jira was not only improved, but also adapted to the needs of other business groups. Jira Service Desk is a response to the needs of IT departments, while Jira Core is a universal system for all types of enterprises. It is worth noticing that each variant of the Jira system is based on the same environment and can be adapted to the needs of a given client. Nothing prevents Jira from operating, for example, in the cosmetics, clothing and transport industries. Jira streamlines and facilitates work in any company, regardless of the business profile. – says Piotr Tokarski, head of the Transistion Technologies PSC Atlassian department – as the official partner of the Atlassian company, we offer not only the implementation of the system, necessary training and post-implementation support, but also create add-ons thanks to which the individual elements of the software are extended. One of such add-ons is Vacation Manager for Jira, which allows for efficient holiday management. Submission of vacation applications completed and signed by hand is a thing of the past. Currently, they can be reported to the manager with a few clicks. Companies working in the Jira environment have full control over all processes occurring in the company and clear insight into what each team is working on. The flow of information takes place in real time, the program creates the necessary statistics and statements, and reminds about upcoming dates. Thanks to the Vacation Manager for Jira from Transition Technologies PSC, holiday management becomes equally easy, quick and pleasant. Each employee through his panel reports the date on which he wants to take a holiday leave; also sets days off for special or sick leave. It’s not everything! Vacation Manager is a tool thanks to which you can additionally determine the dates of national holidays or ask for a leave within a chosen hour range. The application is also a great help for HR departments. 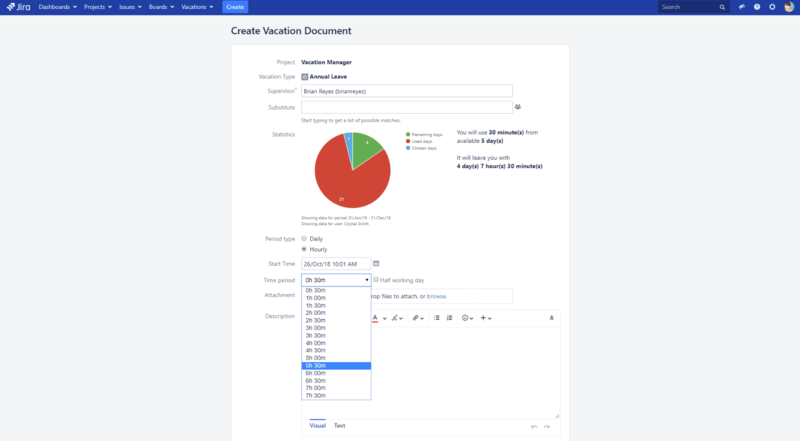 Thanks to Vacation Manager for Jira, information management about individual employees’ vacations becomes much simpler and more intuitive; the automation mechanisms used in the application enablefor example transfer of unused holiday to another year without the user having to supervise the process. The program clearly presents data on used and unpaid days off, as well as informs who is currently on vacation – supervisors see immediately which employees are absent and until when their leave will last; the information is highlighted and marked with a different font color, so that it’s easy to spot them. Vacation Manager meets one of the key needs of each company. Recently, the application has been improved with the possibility of entering applications not only regarding free days, but also hours. The update is the result of customer requests, so we are sure that it responds to real needs. – adds Michał Dubel, leader of the Atlassian Apps team at Transition Technologies PSC. Are you looking for a system that will improve your work in the company, allow for further development and help to organize all processes? Representatives of Transition Technologies PSC Atlassian will find the best solutions for you. The tools we offer are easy to use, intuitive and, above all, effective. Our specialists will answer all questions, make analyzes that will enable them to recommend the best tools and efficiently carry out the system implementation process in your company. Transistion Technologies PSC Atlassian also offers dedicated training, implementation and post-implementation support. Adapting the application to expectations. Implementation and post implementation support. Tight SLA, optimal application performance. Data migration from other systems. For more information go here: TT PSC Atlassian.